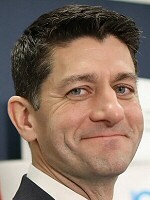 Look at that smug republikkkan creep! G*D I hate him! Profits first, people last! That's his aim, goal and policy! So there are Jewish genes? Is there a difference between Sephardic and Azkenazi? Just asking.